Love the feel of sand between your toes? 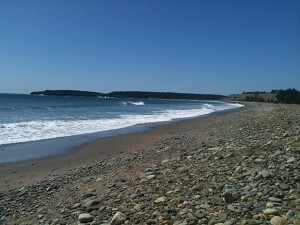 Lunenburg’s location puts you close to dozens of beautiful beaches. Ask a local about their favourite; it may be nearby Bachman’s on Second Peninsula, or Westhaver’s in Mader’s Cove, where they claim the water on both beaches is the first to warm up. Then there’s Hirtle’s and Kingsburg beaches, where sunbathing goes hand in hand with hiking; along with Spindler’s, Oxner’s and Sand Dollar, all in the Riverport area, were the chilly water does nothing to deter eager surf, wave and view seekers. 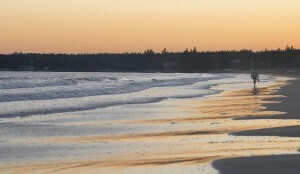 Still other locals will tell you that the charmers are Risser’s, Cresent, Broad Cove and Green Bay Beaches, all west of the LaHave River on highway 331. Those who prefer warm lake water will direct you inland to Mush-a-Mush Beach Park in Sweetland, where a western exposure ensures a perfect sunset. An easy day trip will take you to further treasures such as White Point, Carter’s, Beach Meadows, Summerville, and Kejimkujik Seaside beaches in Queen’s County; and Freda’s, Queensland, Bayswater and Cleveland beaches towards Halifax on Highway 3 East. And, there are even more! Go explore our many shorelines and coves from your vacation base in Lunenburg, and discover your own favourites. But please, don’t forget your sunscreen! 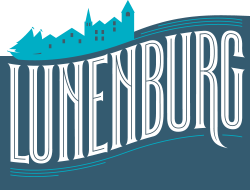 Pick up your maps at the Lunenburg Visitor Information Centre on Blockhouse Hill.